PRIME Minister Narendra Modi on Tuesday appeared treading on sensitive ground, as he asked first-time voters to dedicate their vote to those who carried out the airstrike in Balakot. 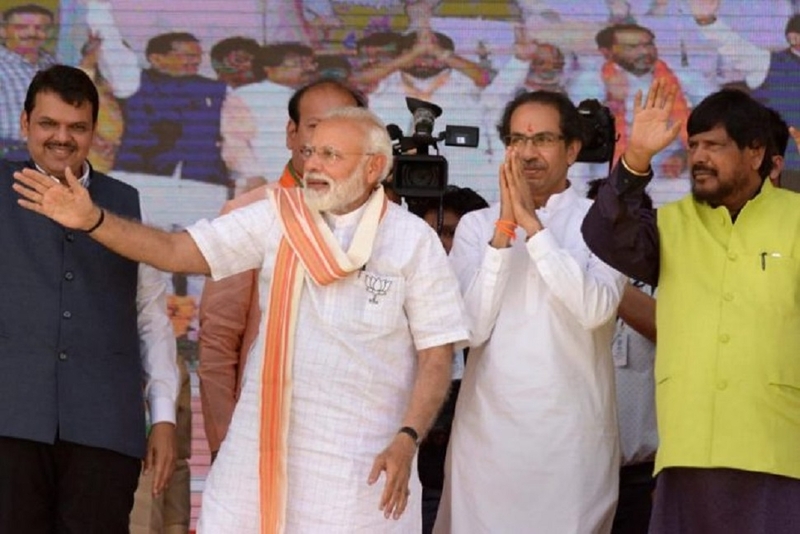 “Can your first vote be dedicated to those who carried out the airstrike,” Modi said, appealing to first-time voters at a poll rally here in Latur district of Maharashtra. “I want to tell the first-time voters: Can your first vote be dedicated to the veer jawans (valiant soldiers) who carried out the airstrike in Pakistan). “Can your first vote be dedicated to the veer shaheed (brave martyrs) of Pulwama (terror attack),” Modi said. The PM said the first-time voters should remember that their first vote is something which they will remember for the rest of their lives. “You will always remember to whom did you vote and in which election,” Modi said. “Can your first vote be dedicated to (the cause of) providing pucca houses to the poor. Should not your first vote go for providing water in farms of farmers,” he said. “Should not you vote for ‘healthcare for all’ and the Ayushman Bharat scheme,” Modi said. The Election Commission had issued an advisory on March 19, asking parties and their candidates against using pictures of defence force personnel in their campaign material. “...Parties/candidates are advised that their campaigners/candidates should desist, as part of their election campaigning, from indulging in any political propaganda involving activities of defence forces,” the Commission had said. Stepping up his attack on the Congress, Modi said had its leaders acted wisely, Pakistan would not have been created. Pakistan would not have been born in 1947 had Congress leaders acted wisely in the pre-Independence era, Modi said. The Congress party’s manifesto speaks the same language as that of Pakistan, he added. Referring to National Conference leader Omar Abdullah’s remark, Modi accused the Congress and its ally NCP of standing with those who want a separate Prime Minister for Jammu and Kashmir. Hitting out at NCP chief Sharad Pawar, Modi wondered if it behoved the Maratha strongman to join forces with the parties holding such a view.